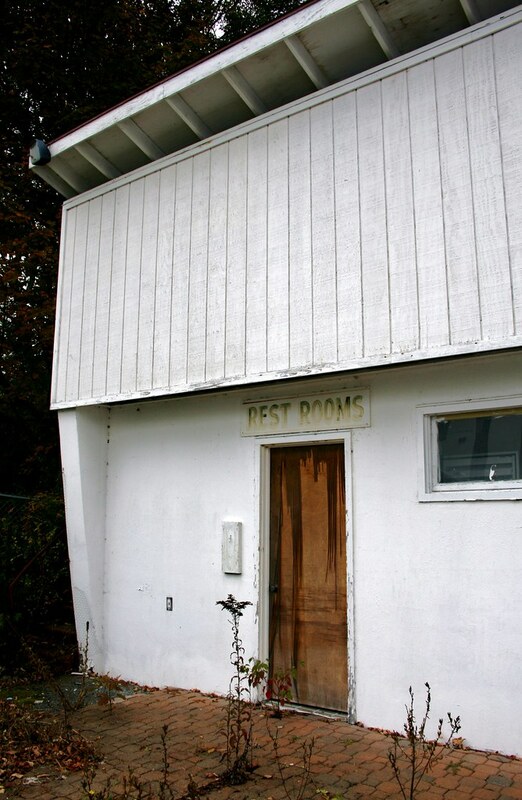 Behind the door were bathrooms as equally dated as the faded sign that hung above the door. Note the roof of the cabana building, and the flat wall on the second story. Originally, above the rest rooms sign would have been a flat roof. Around the corner of the building is a steel staircase that led up to that roof, which included a door to the now boarded up room in the center of the cabana building on the second floor.